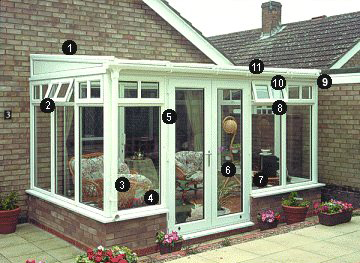 The lean-to, ideal for the property with a limited amount of spare room for a conservatory. 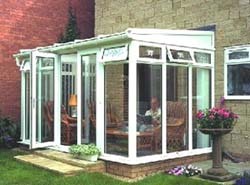 It can run across the whole of the back of your property if you wish and yet the depth can be as little as 2 metres or up to 3.5 metres allowing you to choose a depth of conservatory to suit your needs. 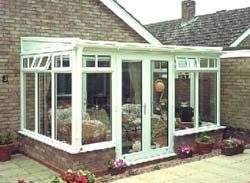 The design reflects the half-timbered architecture of the period and the full-length windows and sloping roof let the maximum amount of light into the conservatory.